Real Estate Agent. We offer seller services to smart women that add value to your home and get top dollar for it when it's time to sell! Mission We provide real estate buying, selling, staging and marketing services at affordable prices that add value to real estate assets and listings. Company Overview Consulting with real estate buyers and sellers in historic Orlando and Winter Park in ANY market! We provide a staging plan for ANY budget for you or your Realtor and if you don't have a Realtor yet, I'll list it for you and your staging plan is FREE! Description The buying and selling process starts earlier than it used to. Today we have the power of internet marketing to start getting our homes ready to sell months ahead of putting it on the market. General Information Founded in 2001, MaureenMorell.com and Smart Women Buy Beautiful Homes were born from a real estate family business that started 50 years ago in a small town outside Niagara Falls, New York. Today our consulting services are offered to get your home ready for market and sold for top dollar! Southern Realty Group is the leading real estate company focusing exclusively on the Southwest Orlando area. The knowledge, energy and enthusiasm we bring to our clients is second to none. We provide extraordinary real estate concierge services to ensure that our clients' every need is met. Selecting the right home is so critical in everyone's life! We deliver the important knowledge about the communities, schools, and various other interests that make the decision process much easier. Our most important quality is to listen so that we can inform you on everything you want to know. Whether you are buying, selling, or leasing, Southern Realty Group is here to guide you through the process. Our team of agents and preferred partners will deliver exceptional service and high-end results. We specialize in residential sales and property management, from condos to single-family homes to luxury estates and everything in between, helping buyers and sellers in Orlando, Winter Park and surrounding areas for over 35 years. How do we do it? Whether you're buying or selling, we will develop a personally tailored plan to guide you toward your real estate goals. For buyers, our number one priority is to find your next dream home. For sellers, we ensure your listing gets the most exposure possible through our creative marketing techniques that attract the most qualified buyers to your home. We are honored to be a part of your home selling and buying experience. 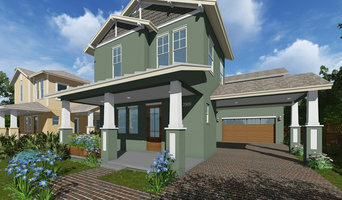 Have you ever wanted to build your own custom home, but didn't know how to get started? The Hope Team Consultants are your solution to building the ultimate custom home. 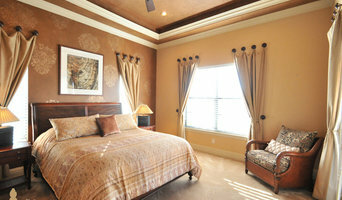 We are located in beautiful Central Florida and service both Orange and Seminole Counties. 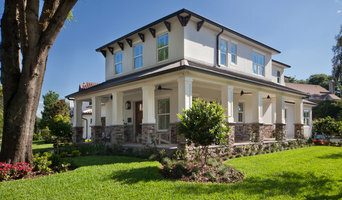 Our team has a number of inventory lots available in the most desirable areas of Central Florida. Locations include Winter Park, College Park, Lake Mary, Lake Adair, Orlando, and Thornton Park, just to name a few. The Hope Team holds our preferred builders and vendors to the highest of standards in quality, service and workmanship. Our commitment to making your experience an enjoyable one is of the utmost importance to us and no detail is overlooked. Our team consultants will act as your advisors and project managers throughout the process. The Hope Team consultants and builders are leading the industry in custom new home designs, quality, craftsmanship, cutting edge funding, and the finest designers. All to make this the ultimate building experience for you. OUR PROCESS: 1. Land Acquisition: Choose from land that we have in inventory, or have us find another plot for you. 2. Builder Interview: We collaborate with several builders so that you can choose the perfect professional for your project. 3. Construction Perm Funding: By securing a CP fixed rate loan before construction begins, you take advantage of historically low interest rates. 4. Interior Design: You will have an interior designer working with you from the beginning of your project for all of your architectural needs and design selections. 5. Construction to Warranty: You will be involved throughout the entire building process and your new home will be finished with a full year, unconditional warranty. All other warranties will apply with specific vendors (ex: roof, appliances, hardy board, etc.). Bobby and Lindsey are professional, personable, and passionate. They are known for their relentless work ethic and creative out of the box marketing and negotiating techniques. They are knowledgeable, approachable, straight shooters and true greater Orlando real estate experts. As a team they are always aggressive on behalf of their customers and work very hard to ensure successful completion of the Real Estate transaction process. A little about Bobby and Lindsey: Bobby was born in Southern Georgia, but considers Central Florida his home since 2006; Lindsey is a native Floridian. Both raised with strong core values in service and hospitality to others, Bobby Mims and Lindsey Leibowitz treat every customer with value and respect. They both have worked in sales at all levels, including what some think are most difficult both door-to-door and cold calling sales. Having worked in the hotel hospitality industry prior to real estate, Lindsey developed a bicoastal and international network of top business executives whom have become buyers, sellers, investors and valuable resources for her clientele. As a result, this Dynamic Duo are not only geographically competent, they have the drive to get the job done for their customers. Customers who decide to work with Bobby and Lindsey have two Realtors who have made it their mission to provide you with top-notch, unsurpassed customer service and knowledge 24 hours a day 7 days a week, in Volusia , Orange and Seminole County! I have been licensed since 1996 and have dedicated my career to bringing home buyers and home sellers together, while providing expert problem solving techniques in every aspect of the transaction. Find over 5,000 luxury villa rentals in over 50 of the most desirable vacation destinations in the world. Here at Top Villas you will find a stunning array of luxury villa rentals to choose from. Whether you are looking for a luxury ski cabin tucked away in the mountains in France, a beach villa in Hawaii, complete with breathtaking ocean views or, luxury Orlando villas close to Disneyland and all its great attractions. Top Villas has the perfect villa rental waiting for you. Why not browse through our luxury villa locations and find the ideal villa for your vacation? I am a knowledgable full-time Realtor, offering my clients personalized service throughout the entire transaction. Using multiple years of marketing and customer service I make sure properties are marketed to their full extent and provide a great resource to both buyers and sellers. Johnna Brizendine has been in the Real Estate industry for over 26 years in some capacity; the majority of her years have been in New Home Construction where she found her true passion was assisting home buyers with the construction of a new home from contract to walk-through and every detail in between!! Johnna has found that same passion with her changing to General Real Estate; EXCEPT it is even better because now she is not limited to certain floor plans or a certain price point: she can assist so many more Buyers and now Sellers as well. Johnna can still assist any Buyer who is wanting to build; she in fact can be a strong advocate through the process of building a new home. Johnna is committed to excellence every step of the way with her Buyers and her Sellers; they become like family to her and she values their relationship which evolves through the process of purchasing or selling a home. As a full time professional Realtor, Jarene Mathias makes it her business to stay current on all of the changes in today’s ever shifting market. Knowing your neighborhood, our community and the conditions that affect them provides her with a unique insight into what it takes to assist you with one of the largest investments in your life. A resident of Lake County FL for over 40 years. Jarene has the knowledge and skills in this market to get results for home buyers and sellers. Jarene has sold 400+ homes and is a member of the Institute for Luxury Home Marketing and a Multi-Million $$ Producer. Earning the Remax 100% Club award, CPDE, SFR, CIAS and REO Certifications When it comes to selling or buying your home, you can feel confident that Jarene takes pride in consistently obtaining the highest prices for her sellers and persistently negotiating the most favorable terms for her buyers. The largest investment most people have is their home. With an experienced agent on your side, you can be secure in the knowledge that your best interests are always protected. Jarene is dedicated to your complete satisfaction and looks forward to the opportunity to serve you and your family. Eric is a second generation Realtor committed to assisting customers in reaching their goals. He believes the experience of buying a home should be a fun one instead of something that becomes stressful. Open communication and a comfortable environment make home buying with Eric a pleasure. He understands people have systems and websites they already feel comfortable using. If you ever find something on Trulia or Zillow you can message him the property you like and he can set up a time for you to check it out. You can also use the property search built into his website if that is what you prefer. The data is more accurate than what is listed on sites like Zillow and Trulia. His Father and Broker, Frank Baloun has been in the business since before Eric was born. Eric joined the family business after college and became a licensed Realtor in 2009. Since then he has specialized in property valuation, listing of resale homes, marketing new construction properties, assisting in the design of custom homes including the 2015 Parade of Homes Grand Prize Winner. His price points range from $200,000 to over $3,000,000 and is comfortable in all markets. He devotes himself to helping people with their lifestyle goals. He is passionate about community and giving back. If you are looking for a change and know what you want contact Eric to help you with your change. If you are unsure of what you want he can assist in figuring that out by asking you a series of questions and pointing you in the right direction. There is no one way to live and no one way to do business other than the way that makes you the most happy. While I am passionate about home design, my strength is investment analysis. What price will the property sell for in 5 years? Do the prices reflect supply and demand? Foreclosure vs Short Sales vs Auction? Which is the best way to strategy to break into a growing market? Rent vs Own? These are just some of the questions my clients ask me every day. Call me if you'd like to talk real estate. Real Estate is a complex and dynamic area of work that demands experts to stay informed about rules and regulations as well as the Orlando, FL market. As you can imagine, agents and brokers vary as much as the properties they sell. You'll need to be as savvy in selecting a realtor as they are in getting you the best price. When you're looking to buy a home, a buyer’s agent represents a home buyer or seller in a real estate transaction. A buyer’s agent will find Orlando property listings that match your needs, works with the seller’s agent to schedule showings and accompanies you on visits to tour the home. If you’re interested in the house, the agent handles price negotiations and other terms of the sale, and coordinates the appropriate paperwork. If you are engaged in a home sale, a seller’s agent will help you determine a listing price for an Orlando, FL property and can suggest repairs, upgrades and staging ideas to boost the home’s appeal. He or she is in charge of marketing the house to prospective buyers and other agents through signage, websites, print ads, open houses and other methods. As with a buyer’s agent, a seller’s agent represents you in negotiating the sale. Find an agent or broker on Houzz. 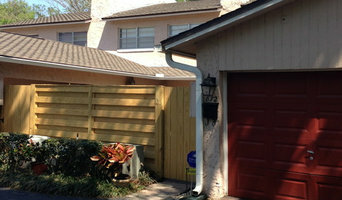 Narrow your search in the Professionals section of the website to Florida agents and brokers. If you’re in the market to buy or sell a home, you may be interested in hiring other professionals as well. Here are some related professionals and vendors to complement the work of real estate agents: Home Stylists and Property Staging, Photographers.